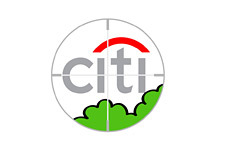 As I've been combing through the recently released 13F-HR's for the fourth quarter of 2009, something has really jumped out at me - a number of the most notable hedge funds in the world are snapping up Citigroup in a big way. Citigroup took an absolute beating during the financial crisis of 2008, needing a massive amount of taxpayer aid just to avoid a complete collapse. Citigroup is no ordinary bank, as it has trillions of dollars in assets and is one of the largest banks in the world. The US government leapt to its rescue during the darkest days of the economic implosion of late 2008, due to the fact that a complete collapse of Citigroup would have likely plunged the country (and by extension, the world) into a deep depression. Anyways, that was then, and this is now. Citigroup, which was once a $300 billion company, is now worth a little less than $100 billion. Citigroup, which briefly traded for less than $1 in March of 2009, is now trading at around $3.50. As mentioned, a number of notable hedge funds have been buying up major positions in the company. Paulson and Co. Inc., which is run by John Paulson, snapped up an additional 206.7 million shares in Citigroup during the fourth quarter of 2009 to bring their total position up to over 500 million shares. Citigroup is now one of John Paulson's largest positions. Third Point LLC, which is run by Daniel Loeb, opened a 25 million share position in Citigroup during the fourth quarter. Eton Park Capital Management LP, which is run by Eric Mindich (who became a partner at Goldman Sachs at the age of 27), opened a 138 million share position in Citigroup during the fourth quarter of 2009. George Soros opened a 94 million share plus position in Citigroup in the fourth quarter, while Eddie Lampert's RBS Partners increased their stake. I'm not saying that you should run out and buy as much Citigroup as you can - that's not the point of this article, and that's not the point of this site. What I am saying is that some very smart investors are buying up large blocks of Citigroup, and that this should definitely get your attention.